With thousands of deliveries being made every minute of every day, it’s only natural that some of them don’t quite work out as planned. We’ve trawled the web looking for shipping disasters that are truly hilarious – although possibly not for the person receiving the delivery! 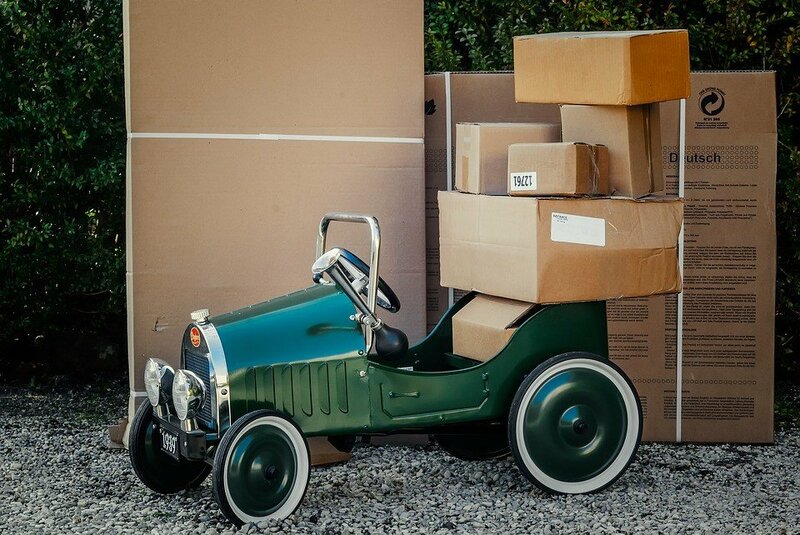 Whether it’s clear signs of rough handling, or a particularly bizarre choice of drop-off point, check out these 10 delivery fails and count yourself lucky that you weren’t the customer in question. This delivery driver clearly had their own definition of a ‘safe place’, when they simply draped a doormat over this large cardboard package. It’s an amusing attempt at camouflage, but realistically, it’s not a secure place to leave anything. One unfortunate customer was left trapped in their home when a delivery driver left a parcel wedged under the front door handle – not ideal when all they did was order a tall package from Amazon! 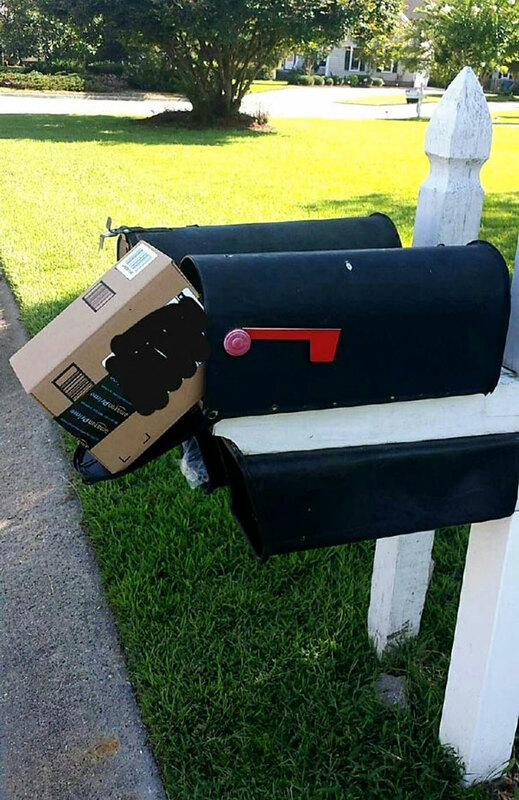 This driver really wasn’t thinking about the customer when they wedged the package this tightly into their mailbox. It’s an impressive feat that they managed to fit it in in the first place, but we wonder how the customer was able to remove it without causing damage. 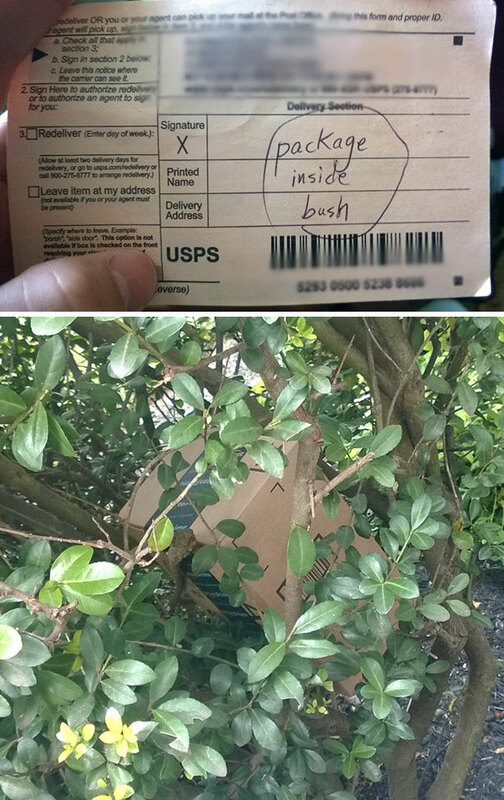 This delivery driver decided that a nearby bush was the most secure place to leave a package. While the photo makes it look fairly camouflaged, you don’t exactly want to have to forage in the wilderness for something you bought online. 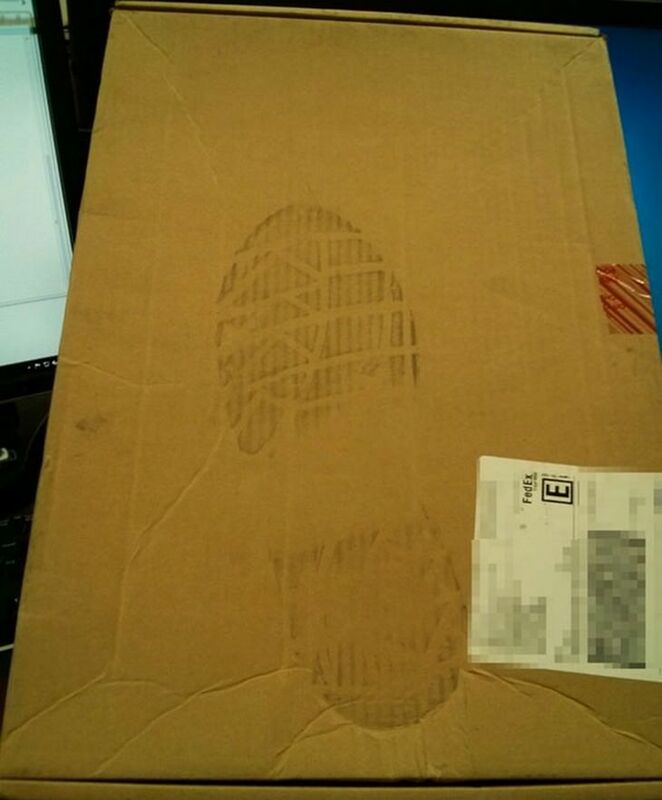 This package arrived with a clear boot print on the outside, as though it had been stepped on – or even stamped on by a muddy – and inconsiderate – shoe. Not the treatment you expect when you buy from a trusted seller! You can see the thought process behind this delivery driver’s decision, but the end result is ludicrous. Leaving a package half-covered by an upturned bucket is not exactly a secure delivery. This resourceful driver decided to fling their package over the fence with a rope attached. Their innovation can be applauded, but it’s a risky decision if the contents were breakable, and who’s to say someone couldn’t grab the rope from the other side and pull it back over? As a buyer, you’d hope that a failed delivery would usually happen because there’s nowhere safe to leave the package. 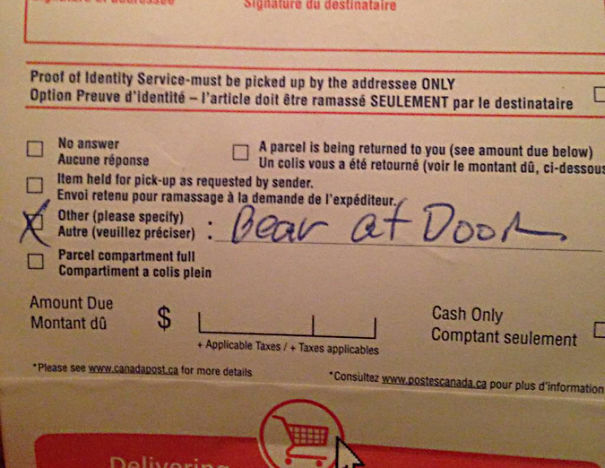 This delivery driver made the executive decision to skip delivery, claiming that there was a ‘bear at the door’. 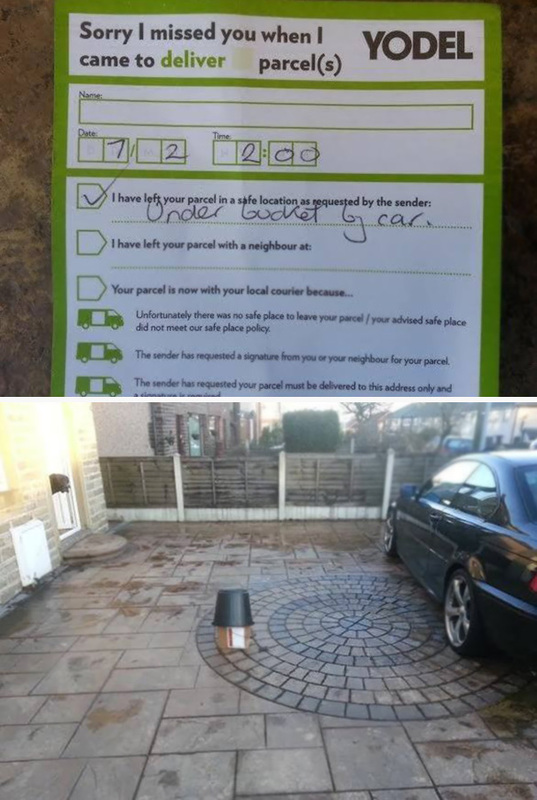 Not only was this package left in an insecure place and in plain sight, but the driver left it on top of a pot plant, squashing it in the process. Understandably, the customer was pretty peeved. 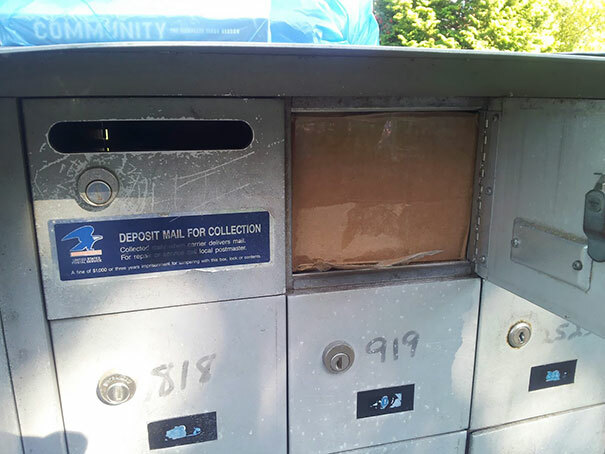 This driver tried to squeeze a package that was far too big for its mailbox, and appears to have given up half-way through – not exactly the secure and considerate treatment you’d want for your personal post! We hope you’ve enjoyed this list, and that you have better luck with your own future deliveries. For affordable delivery deals from companies you can trust, visit Delivery Quote Compare today.